If you’re suddenly finding yourself doing a special dance hoping the Galaxy S III comes to T-Mobile in June, take a look at these fine videos accumulated from across the web. 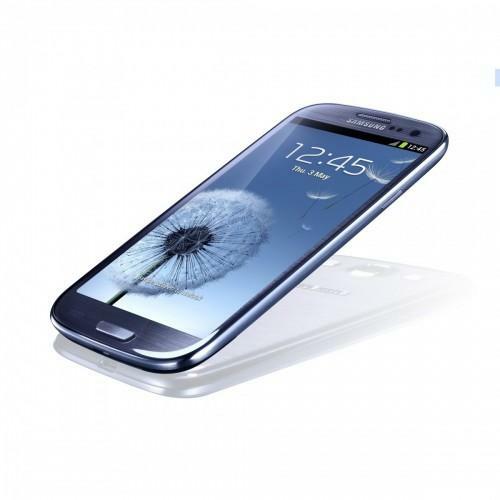 We’ve gathered some of the best video hands-on we can find online showing off the Galaxy S III in the flesh. There’s plenty of video goodness below so don’t waste any time reading anything else from me. Start watching. not impressed with the build. The HTC One S (and X) is way better looking with better quality materials. YOU USE GRR AS WELL. Looks good on ya. For some reason, im not regretting my one s purchase…but the galaxy s 3 looks awesome! It basically looks (from the front) like the TMO version of the GSII. Worst thing for TMO to do is wait until the iphone 5 release timeframe to release this. They should skip all the custom version nonsense and get the international non-lte version for us asap! at 21mbps? No thanks. I want it at 42 or more. … and you’re obviously just the type to look for bragging points. You won’t currently get any real-world use out of 42 mpbs if it doesn’t involve tethering, and with the data caps, that’s not happening either. 21 Mbps is for the international version. The T-Mobile version will have 42Mbps just like the S2. Why would they not? Come on dude you should know better. We will have our own version. and with snapdragon of course! Things I don’t like about it. Oh man seriously? They finally did it right with the S2 and they totally dropped the ball again. Screw Pentile. I love the woodchuck test and, more importantly, the system handling of it. It’ll be a decision between the GSIII and the One-S but i’m leaning towards the GSIII right now. My upgrade is in August, seems so far away…Sigh, I guess my G2 will do until then. One S may not even be sold in August. You never know these days. It may be EOL by then. It is an interesting phone. I would be okay with it if it was stock ICS. I just don’t like the look of TouchWiz. Too me they are taking something really nice and making it meh. I really love the HTC One X, but sadly it only works on T-mobile’s Edge network. Edge ain’t too bad. Plus the SGS3 won’t have Tmo’s AWS until late summer. 90% of the time I have access to WIFI. Touchwiz = no buy for me. Sux. All I want to know is can this phone allow you to take a picture while your on a call, then txt it to someone. The HTC sensation can, Galaxy S 2 and the note can’t. I hate the look of the 4 capacitive buttons on the bottom anyways. I NEVER use that search button it always just gets in the way. Honestly, I’m not really impressed. Both the UI and phone itself still look a lot like Apple. And what’s with the plastic all over the place? At least HTC attempts to release phones with actual texture and feel to them. Add the fact that US S3’s will likely be crippled and you have a very underwhelming phone. They were a bit ahead of the curve with the S2, but with their slower release schedule, HTC’s innovation will win out. I was really looking forward to this being on par with the HTC One S/X… but it’s camera appears to be a lateral move, rather than moving up. The aperture is now f/2.6 compared to last years f/2.65. Using the f/2.0 of the One S/X, it’s no brainer that the GS3 will be steps behind the competition. I’m looking forward to seeing some actual test being done, indoor and outdoor, comparing cameras of the GS3, One S/X, PureView 808, 4S, and Lumia 900 to finally see who is on top. And then I’ll make a decision to replace my existing G2 phone with it’s pathetic camera and buy the new phone outright while switching to the value plan for my family. I would be shocked if the phone was released in June. When Samsung references a season, they mean the END of that season. So Expect an August release, which I wouldn’t be surprised if it was pushed back even further. One thing Samsung hasn’t learned is that too many customization = delays. They continue to tweak Android’s UI way to much and then have to make different builds for different carriers. HTC learned that lesson and trimmed down Sense as well as reduced the iterations of phones. I had a Vibrant (Galaxy S) and played with the Galaxy SII quite a bit. I own an HTC One S now and the difference in build quality and UI polish isn’t even close! I don’t see going back to a Samsung device now. You should really learn how to use fixed focus.